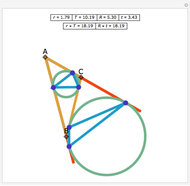 Extend two sides of a triangle and construct the circle tangent to those sides and the third side of the triangle. The resulting circle is called an excircle. 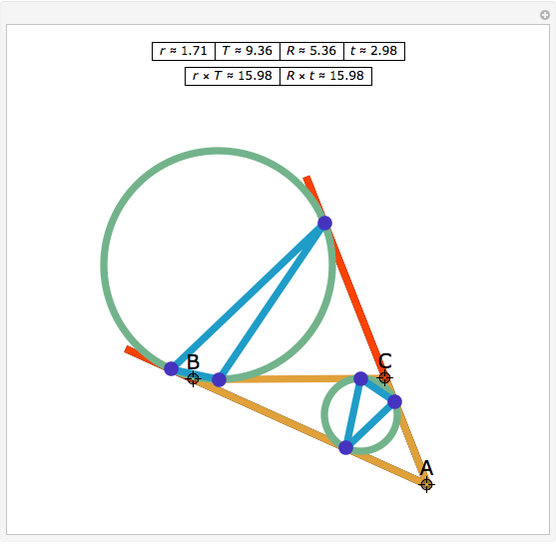 A contact triangle is a triangle formed from the points of tangency between the sides of a triangle and its incircle or the extended sides of the triangle and one of its excircles. Let ABC be a triangle. Let and be the radii of the incircle and an excircle of ABC. 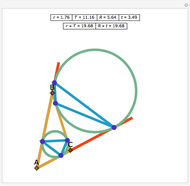 Let and be the areas of the contact triangles for the incircle and excircle. Then . The statement of the theorem is in Problem 84. 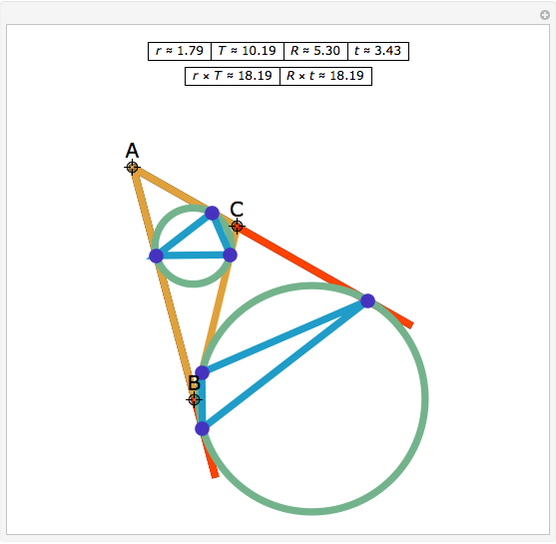 Contact Triangles Areas, Incircle, Excircle. Jay Warendorff "Contact Triangles of a Triangle"